This gorgeous three story, 4 bedroom cottage comfortably sleeps 8 and offers a stunning view of Lake Baptiste. Some amenities include the large lakeside deck, fully equipped kitchen, 2 bathrooms, satellite TV and 2 wood burning fireplaces. 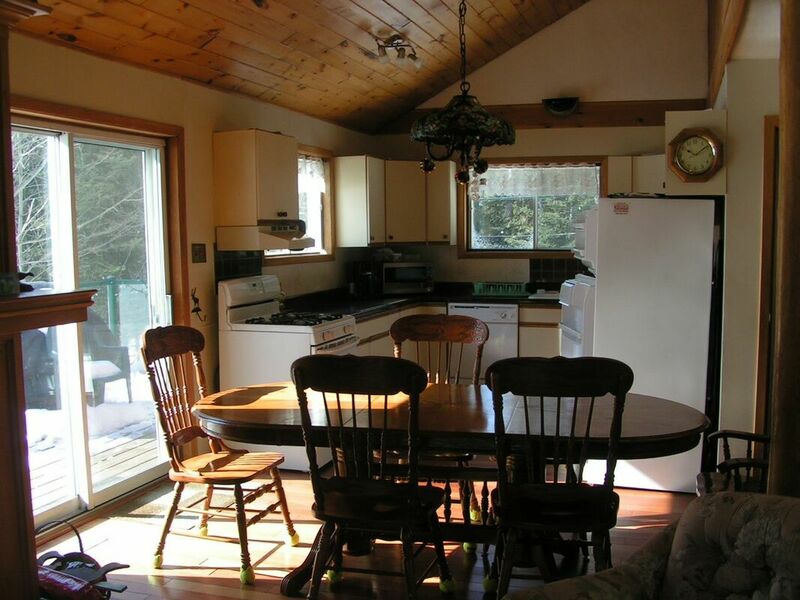 This cottage is winterized and available year round, especially attractive for cross country skiers and snow mobile enthusiasts. The beds are queen, 2 double and 3 single.